If you tried to root your Android phone and the phone does not boot up later, it means you just bricked your phone. If the phone does not turn on when you press and hold the "Power" button, but the flash notification lights, you are able to perform a hard reset to restore your phone to factory settings. Then it will turn back to normal. However, if the phone does not respond when you press the "Power" button, the phone is in brick. In this article, I will try to describe some ideas that you should check and try to recover your Android phone. First, you should check the battery of your phone. 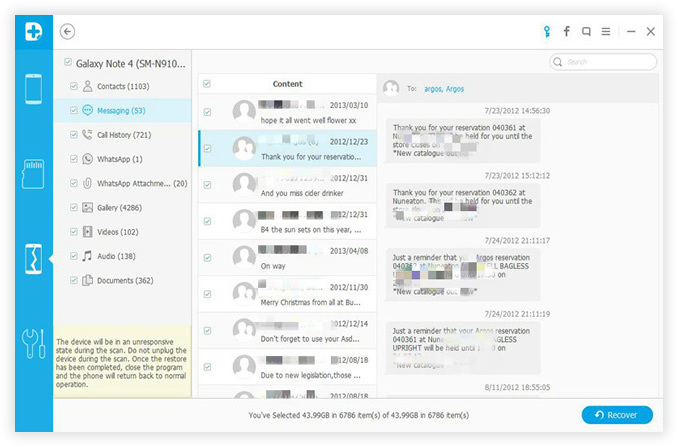 The rooting process takes some time and if the battery was not enough during this step, the phone will be bricked due to incomplete file writing operations. Please charge your phone for a few minutes and try again to see the phone will boot or not. 1. Press and hold the "Home" button and the "Power" button while holding on "Volume Up" button. When the phone vibrates, release the "Power" button while continuing to hold the "Home" and "Volume Up" button. The recovery screen appears. 2. Release the "Home" and "Volume Up" button when you see the recovery menu. 3. Use the "Volume Down" to scroll to highlight the "Wipe Data / Factory Reset". Press the "Power" button to reset. 4. Press the "Volume Down" to scroll to highlight "Delete all user data". Press the "Power" button to delete the data and reset your phone. All data is deleted from the phone and are restored to the original factory settings. 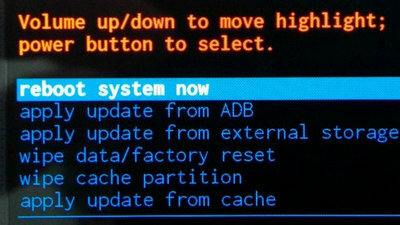 A notification indicating "Reboot System Now" is displayed when the restoration is complete. 5. Press the "Power" button to restart the phone. Oh! I forget to tell you that the previous process will erase all your data. But don't worry! Don't get angry with me, I still have an idea to recover your files by boot into recovery mode and recover files again. For that, you need to download and install the Android Data Recovery program from its official page, after that, you must first turn off the phone, then keep pressing and holding the “Power” and “volume up” button simultaneously until you enter recovery mode. As the phone has entered the recovery mode, then just follow the steps below to recover the lost data. 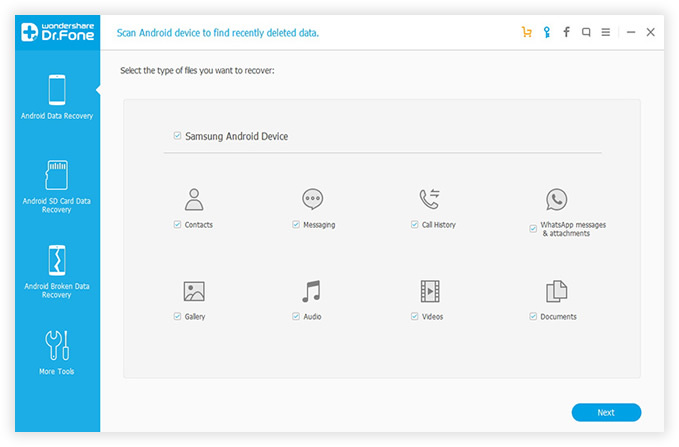 Step 1: Launch the Android Data Recovery program and connect your device to your computer. Step 2: The program will start scanning and analysis, which will scan all your erased files. And in this step please be patient to wait for the result because it takes a while to complete. Step 3: When you get the scan result, you can preview all the deleted files. Then select the files you want to recover. Finally, choose a local folder to save the files on your computer. I hope these ideas will sort your boot problem but if you still have the issue then don't lose hope, please go to a local repair shop and get a professional help, as there are many alternate ways to get your Android device alive!